Can you please help me get to sky100 from Disneyland? 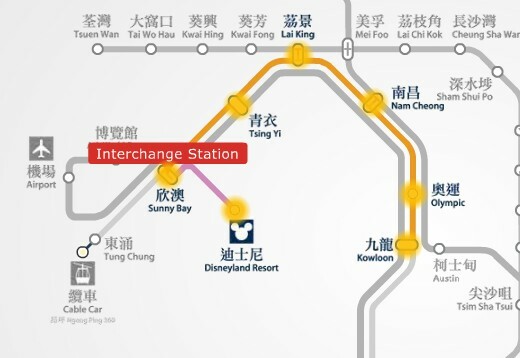 Get into the Disneyland Resort MTR station --> take the train to Sunny Bay station --> interchange trains to the Tung Chung Line going to Hong Kong station and get off at Kowloon station (28 mins @ HK$17) and then follow directional signs for a couple of minutes walk to the ICC building. Sky100 is located at 100th floor of Hong Kong's tallest building, the International Commerce Center (ICC) adjacent to the Kowloon MTR station.